Once you have configured your integrations, you can view them in the Manage Integrations window (from the main menu, click Integrations, then Manage Integrations). You can use the buttons to Clone, Edit or Delete an existing integration. From the Integrations menu, click Manage Integrations. The Integrations window is displayed. Next to the relevant integration, click Clone. Next to the relevant integration, click Edit. 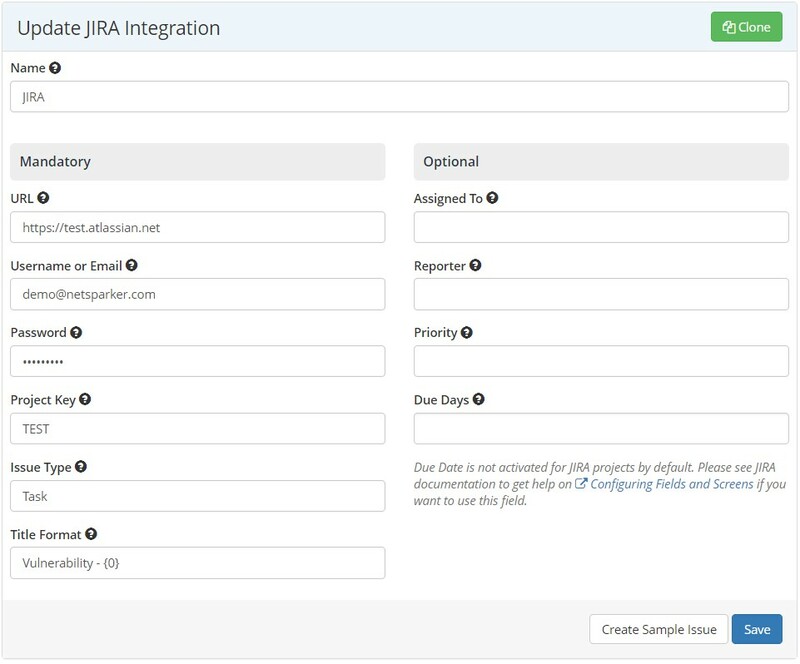 The Update [JIRA] Integration window is displayed. Next to the relevant integration, click Delete. The Delete Notification Integration confirmation dialog is displayed.